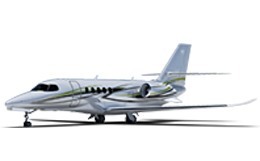 A later model of one of the most notable success stories, the Westwind II is recognized for its fuel efficiency and its lengthy range of 2915 sm. Flying at a cruising speed of 455 mph, the Westwind II luxuriously services a maximum of seven travelers per trip and offers a fully enclosed lavatory along with a large baggage capacity. For more information about chartering, leasing or buying a Westwind II please contact us by calling +44-20-3874-8091 or send us an email here.